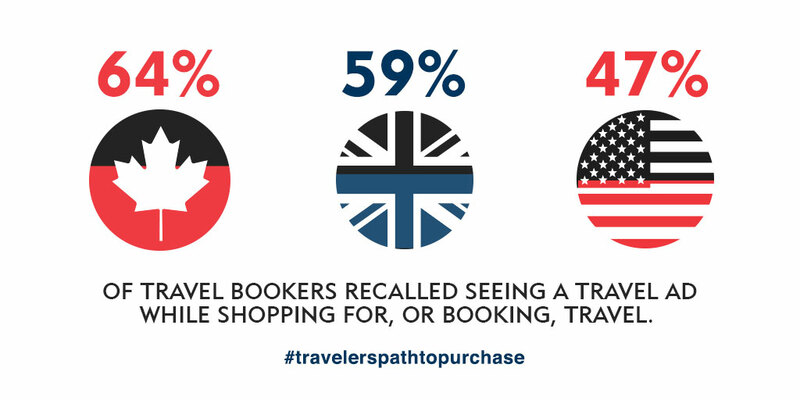 The Traveler’s Path to Purchase research, launched with comScore, identifies trends and behaviors of American, British and Canadian consumers along the 45-day digital journey leading up to a travel purchase. During the research and booking process, digital users are actively seeking travel content and are receptive to new information; nearly one third or more of online travel bookers across the three regions were influenced by advertising, and even more recalled seeing an advertisement. Mobile passes desktop for travel content consumption in the U.S. and U.K. In those countries, significantly more people engage with travel content on mobile devices than on desktops (75 percent and 82 percent on mobile respectively). Canadian travelers, however, spend slightly more minutes on desktop (65 percent) than mobile devices. Online bookers increasingly engage with travel content in the weeks leading up to a purchase. In the 45 days before booking, overall Canadians visit the most travel sites with 161 visits, Americans make 140 visits and British travelers make 121 visits. More travel sites are visited in all three countries as the consumer gets closer to booking their trip. Shoppers turn to online travel agencies (OTAs) and travel information sites most. Accounting for around one third of site visits for British, American and Canadian travelers, OTAs have the greatest share of visitation when looking at the booking journey as a whole. Travel information sites claim the second highest share across the board. These resources account for 21 percent of site visits in the UK and US and 26 percent in Canada. You can also download the full findings from Path to Purchase study. 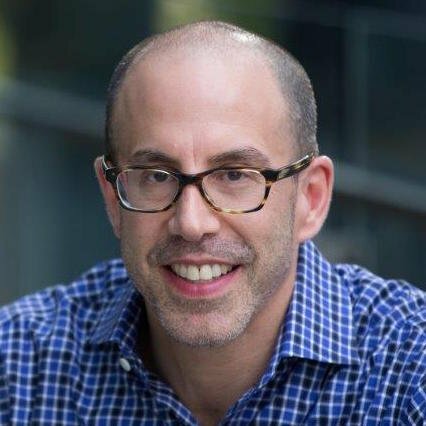 As global vice president of product and analytics at Expedia Media Solutions, Matthew Reichek is responsible for leading analytics and business intelligence along with advertising product development and portfolio integration across the Expedia, Inc. suite of travel brands. Under Matthew’s leadership, Expedia Media Solutions has built and optimized a full suite of innovative marketing solutions that empower partners to reach consumers during all phases of the travel journey. Prior to joining Expedia, Matthew served as vice president and research analyst at two private San Francisco-based investment firms, First Oak Capital Management and Seasons Capital Management. Matthew was also previously an equity research analyst at Citi, where he was part of the top ranked internet and e-commerce team. Matthew has an MBA from the Wharton School at the University of Pennsylvania where he was a double major in finance and marketing. He received his BA with high honors from Wesleyan University.